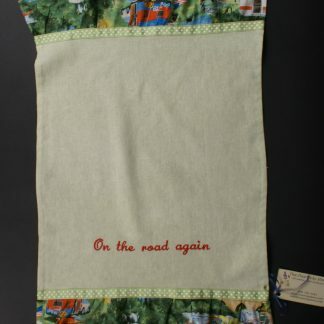 A beautiful, hand-crafted afghan with a story to tell. This is the only ONE that will be made with this design! 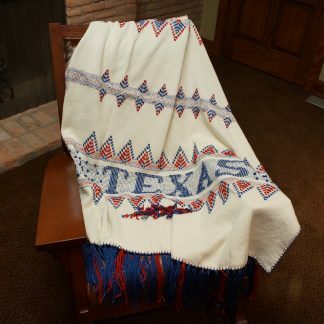 Peaks and Valleys Afghan is hand crafted in Texas utilizing the Swedish weaving method on monk’s cloth. 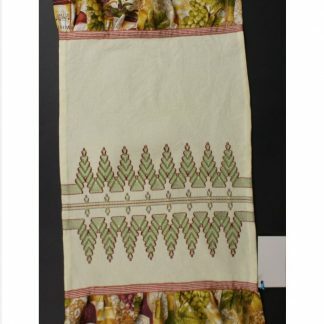 The design is produced on top of the cloth by taking advantage of floats in the cloth. The fabric is yarn dyed by the manufacturer. Before the weaving begins, the 100% cotton fabric is washed in hot water and dried in the dryer on the highest setting to achieve maximum shrinkage as fabric is loosely woven and shrinkage is necessary. 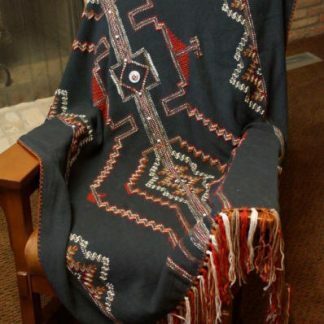 This afghan is a one-of-a-kind item and will not be duplicated. Each throw this artist makes is named and the reason for the name is printed on a card that is enclosed with the product before it is shipped to you. 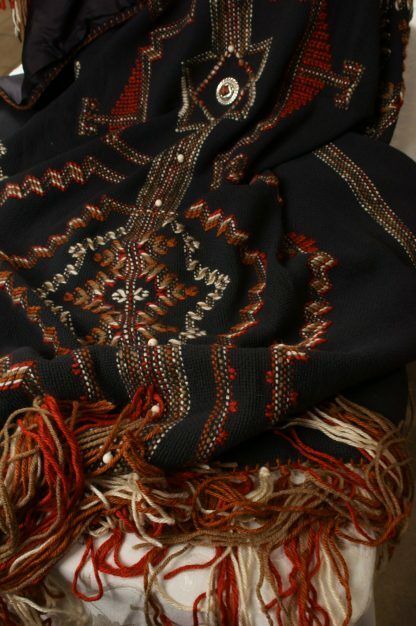 Each afghan is lined with silk and the name of the design is machine embroidered on the silk lining. A preview of this afghan’s story: Sometimes life is very difficult and you think you cannot survive, but you do survive. Sometimes life is very, very good and you think it will last forever, but it does not. You learn to know that the bad will not last forever and to appreciate every minute of the good. The finished size of the afghan is 48″ x 68″. The background color is black and the accent colors used in weaving the design are dark red-orange, cream, and white. 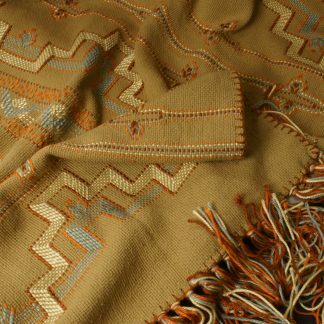 This beautiful throw will add warmth to any room in your home and will warm your heart each time you see it. Note: Afghans are dry clean only. The designs for these afghans are created by the weaver. The designs are copyrighted and belong to One Only. 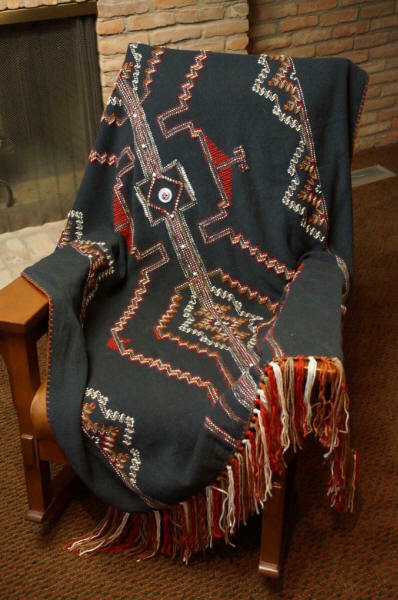 I have a throw created by the same artisan and it is absolutely beautiful. 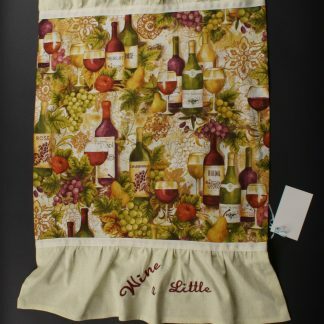 The colors are vibrant, the pattern and design are beautiful and the stitching is perfect! I’ve never seen any other artwork available even remotely similar to this – and the craftsmanship is beyond compare!